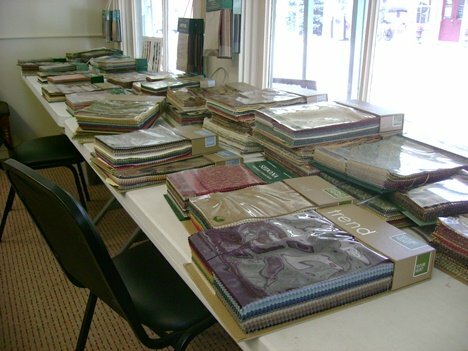 Welcome to our online Upholstery Fabric showroom! 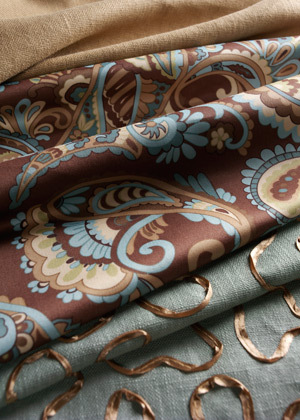 We carry only quality lines from suppliers like Trend Fabrics, Luxury Fabrics and Kravet Fabrics. Feel free to select your fabric from one of the above online showrooms or stop by our showroom to look at our fabric samples. * We only carry Trend and Luxury in our showroom. Online viewing only for Kravet. * Please call (937)748-3134 for appointment to see our showroom. 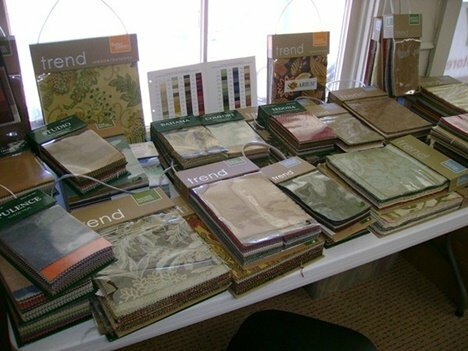 Please stop by our showroom and get a "hands on" look at our upholstery fabric samples and check out books to take home and see if the fabric works in your environment and lighting. For easy directions and map, just click here. Our fabric books list the Double Rub Rating (see below) so you know the quality of fabric you are getting. Can you get a cheap low quality fabric from us for $10.00 a yard?....NO. The labor we charge to upholster furniture is not cheap and neither is our quality of work. Do you really want to spend the money to have your piece recovered in a low quality fabric that won't last a year? Of course not and that is why we offer Discounts on our Labor for those who care about the quality of their fabric and purchase from us. Remember, upholstery fabrics are just like everything else....you get what you pay for. Fabric Wearability Code is an intriguing name for standards developed by the government to provide a guideline to tell if a fabric is strong enough for your needs. You can find fabric wearability codes on manufacturers’ swatch samples shown in stores. Ask a salesperson to help if you cannot find the fabric wearability code on your own. Fabric strength is determined by how it rates on the double rub test, which is a back and forth motion that approximates the wear and tear that comes from someone sitting down or getting up from an upholstered seat. 3,000 double rubs equals one year's worth of use. If a fabric holds up to more than 15,000 double rubs it is classified as heavy duty. It will be stiffer and thicker than most fabrics, but fortunately there are some also some new blends in this rating. They can be supple and soft enough so that it is hard to tell. HD fabric would be a good choice for family room furniture. Medium duty fabric can withstand 9,000 to 15,000 double rubs. Usually, the closer the fabric get to 15,000 the stiffer it is. Medium duty fabrics are versatile and can be used for many purposes, and in family rooms as well as living rooms. A fabric that can take anywhere between 3,000 to 9,000 double rubs, is classified as light duty fabric. These fabrics can withstand one to three years of regular use and are generally very delicate. They are suitable for pieces that get only occasional use, such as sofas that only get used when guests arrive, or an occasional chair that is used more for its looks than any functionality. Delicate duty fabrics with 3,000 double should only be used on furniture that is purely decorative, or in pillows.